I just came across this book today. It looks tremendous. It is Joshua N. Moon’s PhD thesis (University of St. Andrews, 2007). The struggle to read Jeremiah 31:31-34 as Christian Scripture has a long and divided history, cutting across nearly every major locus of Christian theology. Yet little has been done either to examine closely the varieties of interpretation in the Christian tradition from the post-Nicene period to the modern era, or to make use of such interpretations as helpful interlocutors. This work begins with Augustine’s interpretation of Jer 31:31-34 as an absolute contrast between unbelief and faith, rather than the now-standard reading (found in Jerome) of a contrast between two successive religio-historical eras – one that governed Israel (the old covenant ) and a new era and its covenant inaugurated in the coming of Christ. Augustine s absolute contrast loosened the strict temporal concern, so that the faithful of any era were members of the new covenant. The study traces Augustine s reading of an absolute contrast in a few key moments of Christian interpretation: Thomas Aquinas and high medieval theology, then the 16th and 17th century Reformed tradition. The thesis aims at a constructive reading of Jer 31:31-34, and so the struggle identified in these moments in the Christian tradition is brought into dialogue with modern critical discussions from Bernhard Duhm to the present. Finally, the author turns to an exegetical argument for an Augustinian reading of the contrast of the covenants. The study finds that Jer 31:31-34, read in its role in Jeremiah, contrasts Israel’s infidelity with a future idyllic faithfulness to YHWH: in the new covenant all will be as it always ought to have been. The contrast is thus a variant of Augustine’s proposal of two mutually exclusive standings before Yhwh. The study aims in this matter to contribute to the perennial exegetical, theological and ecclesial discussions of old and new covenants by examining a locus classicus in dialogue with oft-neglected discussions in the history of interpretation. Amazon.com link and PDF version. Note well: Moon is an advocate of the Federal Vision false gospel. He was tried in the PCA for his beliefs (though not convicted, just like all the other FV false teachers in the PCA). Note that in the end (after the historical survey), his own position diverges from Augustine (“a variant of Augustine’s proposal”). I assume his “variation” is that, unlike Augustine, he puts the New Covenant entirely into the final day of judgment (“future idyllic faithfulness”) where the “faithful” will be judged righteous by their works. This is because the Federal Vision rejects the visible/invisible church distinction in favor of the church militant/triumphant. Thus the triumphant church are those who have been faithful (works) and are therefore members of the New Covenant. Apparently his work builds upon the work of his father-in-law Robert S. Rayburn’s dissertation “The Contrast Between the Old and New Covenants in the New Testament” (Ph.D, Univ. of Aberdeen, 1978). 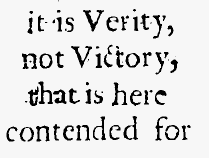 Both dissertations should be of interest to those studying 1689 Federalism (which is, as strongly as possible, opposed to the Federal Vision heresy). Looking foreword to your review, Brandon. NOT planning on spending $40 on a heretic’s thesis, thank you. Is there a follow up on this, Brandon? In the case of Robert Rayburn, it’s not preterism but a refusal to make any distinctions between covenants—for him, Hebrews is only about the correct understanding of gospel grace, and Rayburn does not think redemptive history has anything to do with this. And so “covenant succession” by infants is very very important to Rayburn. No, I haven’t had time to read either Moon or Rayburn. Sorry. Thanks for the reference. What was the Blocher reference to? His essay in Always Reforming? Rosner, 2013, IVP, p 123–“The fulfillment of the law is not only accomplished for believers, but also through believers. Have you ever noticed that the folks (Blocher, Mark Jones) who want to say that there was “grace” in the garden before the fall are the same persons who want to say that grace after the fall includes law and conditions? Even though Bradley Green and Blocher say that only the elect are in the new covenant, unlike in the other covenants, their point is not at all about Christ having died only for the elect. Their point is that these elect “have ability to obey”. . Instead of agreeing that Adam began under law (not yet immortal, still on probation), they move grace back before the fall and they move our law keeping into the new covenant. Brandon, you also might be interested to know that Bradley Green is very much influenced by the Lee Gattis dissertation on John Owen (2013 Adoring the Fullness of Scripture in John Owen’s Commentary on Hebrews). Green points to the place where Owen says the new covenant was before only a promise, but Green also quotes Owen saying that “there is infinite grace in every divine covenant.” (p 72) Green then criticizes the “tendency to link works with a works covenant.” Green thinks Adam began under grace and not under law. Most of the book traces the historical interpretation of the passage. The last section exegetes in in the context of the rest of Jeremiah and, in my opinion, it does a more faithful job of exegeting it *in context* than anything else I’ve seen. To grossly oversimplify, I would say the track the book takes is that in the early church (Augustine and following), the church started with a systematic theology and tried to fit Jeremiah 31 into that system. The modern church threw out the system and tried to view Jeremiah 31 in an entirely historical context. Both made some useful observations, but both missed the primary point by treating the textual context as secondary. In my own opinion, the result is that we over-complicate the passage, which largely interprets *itself* if we let it. Since posting, yes, I have read the book. It’s been a few years, but I don’t think I agree with your assessment.